The New York Times and the San Diego Union Tribune recently ran articles describing political operatives who have been abusing our privacy by harvesting our voting history, WiFi use habits, whether we voted, and then shaming us with that information. That’s not a surveillance state. It’s a #CreepState. While voting records are public information, our right to peace and quiet outweighs politicians’ desire for office. Politicians do not have the right to ram text spam - which is a really a collect call - down our throats. Why do they get away with it? Because instead of pushing back, we let them. By not standing up to politicians - who work for us, not the other way around - we’re enabling the growing creep state. The blessing side of this coin is that we can stop information abuse coming from fake friends who don’t give us the time of day until they want our money or our vote. And that includes corporations that think we have to do things their way. How do you say no? Instead of upgrading my rarely used iPhone, I rejected the technology arms race, relying instead on the craftsmanship of my fountain pens, film cameras, and slide rules. In March, I canceled my text and data plans. The New York Times paper edition, weather from NOAA Weather Radio on a 1973 police scanner, and cash work fine. And they’re better for the eyes than a glowing screen. Walking to the store to buy the paper is good exercise and starts the day right. Buying the paper at the store instead of subscribing supports a local business, and keeps my name out of the hands of data brokers who help build the creep state. Writing on paper with a fountain pen is much better for my fingers and neck than swiping on a phone or keyboarding. The Pelikan nibs sing as I write, and paper books never need a battery charge. No one ever got text neck or eye strain writing with a fountain pen, reading a paper book, or using a slide rule. 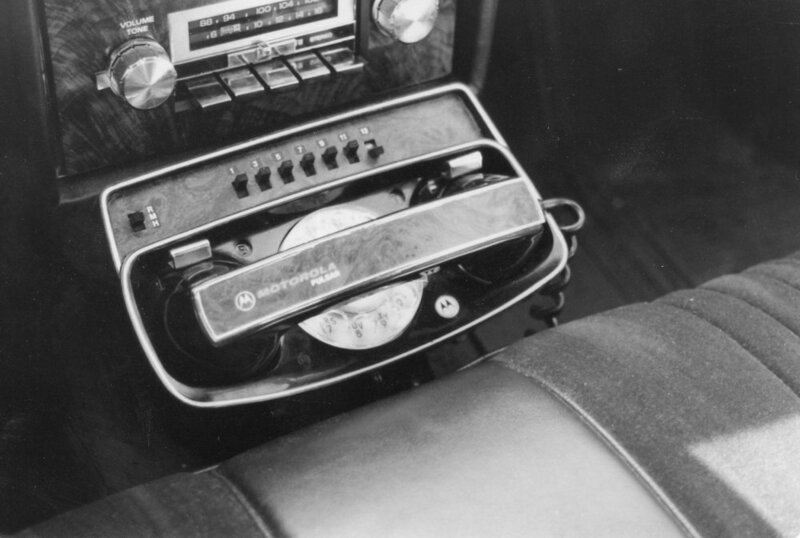 My first car phone, a Motorola Pulsar I, 1980. Forty years of constant availability and distraction from my true calling is enough. It’s time to answer a different call, of purpose and meaning: Wellness, Manny, sharing joy with photography, and Paris. Photos and text © 1990 - 2019 Bob Soltys - All Rights Reserved. Please ask for permission before using my photos, which are registered with the U.S. Copyright Office. Thank you.